Sherman's Food Adventures: The Blog Turns 4! Oh my. 4 years already? Except for a little blip for about 2 months, I've been blogging away everyday. Boy, time flies when one is chewing... In these 4 years, I've met some really cool people who share the same love of food as I do. I've also learned a thing or two along the way. Much like the last blogiversary, I intend to do this as long as I am able. Life is definitely busy and food ain't cheap. I will continue to maintain the original mandate of this blog - as a journal of my eating where my opinions are unbiased, good and bad. I thank all the loyal followers because it would be lonely blogging to myself. I never imagined that this little blog would actually have the impact it has had. Thanks again for your support and as a little treat, I'm going to hold a draw for a $50.00 gift card to the restaurant of the winner's choice. Just leave a comment with your first name and initial of your last. I'll do the draw in a week's time. Cheers! Congrats on your 4th year anniversary. YOU ARE SO AWESOME SHERMAN! I read everyone one of your blog posts. I respect you! Keep doing your thang! Congrats on a fantastic 4 years! It's a pleasure reading everyday! Better your waistline than mine! Keep it up. I look forward to the post going up at midnight after I watch the 11PM news!! I've been having a lot of fun following your blog....it's now my go-to source for eating in Vancouver as I trust your reviews more than any I find on UrbanSpoon or Dinehere .. etc... You are usually right on the money and you have great instinct in weeding out the good from the bad. Happy Anniversary and thanks for all your hard work and dedication. I don't know how you manage to have the energy to write such an extensive daily blog while working, spending time with your family, being involved in sports, eating out at restaurants...etc.... you are truly a man with boundless energy! John N - Thanks for all your time and hard work! I read your blog almost everyday and I use it as a guide for when I dine out. I look forward to your next hidden gem. Happy Anniversary Sherman. I enjoy reading your blog every day. Congrats on 4 years of eating and posting. I find myself always reading your blog. Congrats on your 4 years of food blogging. I have been reading your blog from almost the very beginning and check it out every day. Very honest and frank reviews, seems like you are having a fun time while eating out. Anyways, congrats and keep up the good work :) ~ Bruno A.
Congrats! Ever since my hubby and I stumbled upon your blog, we've been religious followers since! Congrats! Looking forward to reading more of your reviews! Congratulations on four years of informative and interesting food writing! Congratulations on four years of great reviews. Thank you for all the great insight! I hope to still be reading this in another 4 years, its been great so far! butehinGWhat an accomplishment....I appreciate your dedication and enjoy your blog everyday....keep it up! I never miss a post of yours! Love your humour! Congrats - follow your blog daily. longer time lurker. rare commenter! Thanks for your dedication to eating well and sharing your adventures with us. Congrats! Thanks for 4 appetizing years! Here's to many more. Always enjoy your resourceful posts with a sense of humor! Happy 4th and hopefully many more years to come. Congrats! Your blog is great. Congratulations, Sherman! I'm excited to continue reading your blog-- it always satisfies my late-night cravings for food (or, at least, pictures of food). Keep up the fantastic work! It means you're definitely not a blog virgin anymore. Hope to see many more years to come. reading this blog is part of my morning routine. Nice work on keeping your svelte figure after all these years of eating! Congrats on 4 years of blogging. I am a loyal follower! Congrats Sherman! Keep on eating! Congratulations! Always look forward to my daily reading of your blog. Love to see your restaurant reviews! Congrats Sherman! Keep up the great blog posts, look forward to reading about many more of your culinary adventures in the future! Haha, didn't read the whole thing until now [embarrassed]. Happy anniversary!! I love your blog! Love reading your blog everyday. One of the best blogs. I've never commented before but I read your blog every day - you're providing a VERY useful service! haha. It's true, though- when i'm looking up a place on Urbanspoon I always check if you've been & what you thought. Me and my boyfriend rely on you so much for our dinner dates, thanks so much! Here's to another 4 delicious years! Congratulations Sherman! Keep up the good honest reviews. Congratulations! 4 years is a long time, keep it up! Great blog Sherman! It's helped me filter through all the available eats in Vancouver, and I'm a picky one! Thanks, and congrats on the 4 years! Congrats to your 4 years of excellent and pun filled reviews. Thanks for your hard work. Cheers. Happy 4th! Thanks for showing me places that I never would have gone into if it weren't for your reviews. Congrats Sherman! Your reviews are much appreciated! Happy 4 years!! Let's break bread again soon! Congrats! I'm always amused how often you post..only if I could eat out everyday! Hey Sherman big fan of your blog. One comment, I really hate the new mobile skin that you are using, it really mess up on my phone. Was running out and went to your site for ideas and all I got was a big list of like a ton of reviews one on top another. There is no link to go to website view as well. Very hard to use, the old skin was much better. Beside from that Congrads. Congrats Sherman! 4 years of eating and you've still got something interesting, humorous, and informative to say. Good for you! Happy Birfday to the blog Sherman! One of my faves! Happy 4th! I love your no-no sense, honest reviews. Keep up the good work! 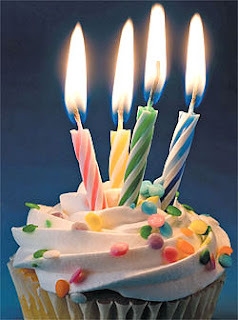 With many more years to come :-9 cheers! Woohoo! Your blog quickly became one of my regular visits. Keep it coming, Sherman! Thank you so much for showing me all these great places to eat and getting me interested in food! I especially like your posts on small hidden gems in the suburbs. Love your blog, congrats on 4 years! Wow Sherman, can't relieve it's been 4 years! Congrats. Looking forward to hearing about more eating adventures near the downtown east side now that there are a slew of new eats that way! Enjoyed reading for a while now. Keep on keepin' on! A REALLY BIG thanks to everyone for their kind comments and encouragement. I am sincere when I say that it means a lot to me. I don't do this blog as a business nor for self-promotional purposes, it is for the love of eating and sharing my stories. It brings me joy that people can share in my passion. Thanks for your super informative and funny posts! I truly enjoy reading your blog! Congratulations! I love following your blog. Congratulations! Keep up the good work we love your blog. Congratulations Sherman! I absolutely love your blog :) Keep it up!